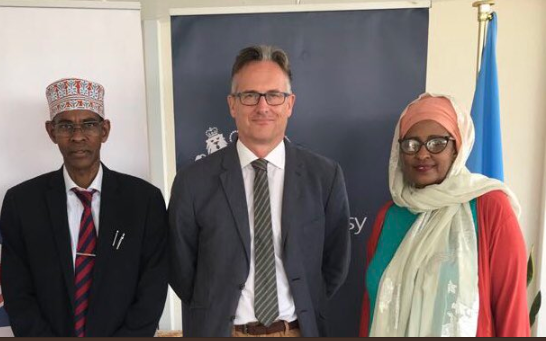 British Ambassador David Concar Meets with Somalia's National Independent Electoral Commission (NIEC). 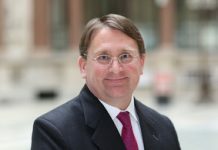 Horndiplomat-The UK’s Ambassador to Somalia David Concar said his government announced £27m of aid for electoral and constitutional reform in Somalia, Amb Concar said after meeting with Somalia’s National Independent Electoral Commission (NIEC). Meanwhile, The British Ambassador to Somalia announced his government supports the Somali’s 2020 election and Constitutional reform. “The UK recently announced £27m of aid for electoral and constitutional reform in Somalia,” Said Ambassador said in a Twitter post on Saturday.